he's cute! 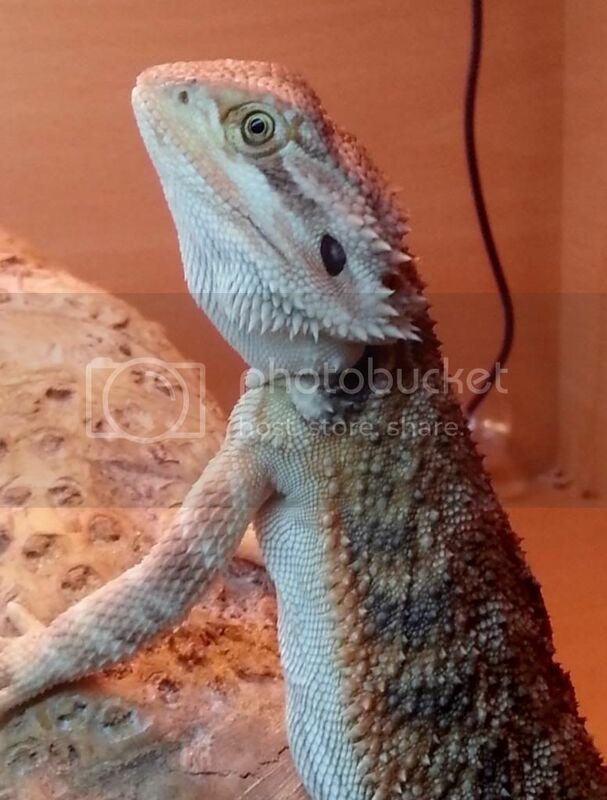 Lovely looking beardie! Love the name, He sure is a smart looking lad. Good that he's eating veg! Hope it continues! Feed him as many crickets as he will eat in 10 minutes each time you feed him.